Sometimes I like to use the listbox control in Access to display information. Partially because I like the look of it and partially because it offers up a better user experience. You will note that the title references Access 2010 where my screenshots see were taken in 2013. 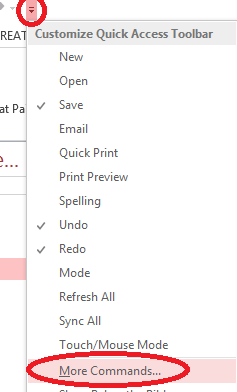 I use 2010 on my work computer and 2013 on personal development PC. This works on both. 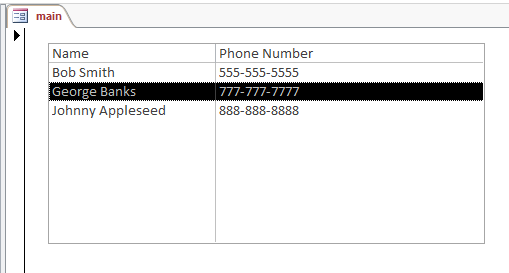 For this example, I created a simple three column database table (id, name, phone) and added three names with phone numbers. Save your form. Mine is called “main”. You should see a few prompts asking you what type of listbox you want. Select the option that says “I want to enter in my own values”. In the properties menu, find “Row Source Type”. Select “Value List”. I used a public sub in a module for this exercise. This can be called to load list data on form load or after adding, deleting or editing objects. 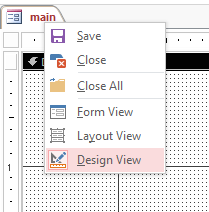 Select “Insert” Menu and select module. Save your module. strSQL = "SELECT ID, Name, Phone FROM names"
Right click on your form and select “Build Event”. Select Code Builder. When browsing back to your form, right-click on the tab and select “form” view. If everything worked the way it should, you should see your list in action with your data. In the form you only see two columns, but in my code example, I queried and set to display three columns. The first column contains the ID for each row of data displayed. 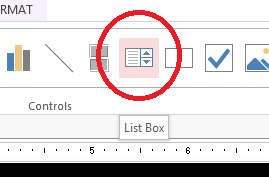 This is important for referencing items in the list to open an edit box, delete an item, or reference more information about each list item. Please comment with questions, suggestions, improvements. What does Form.main.1stPhone refer to? Hello Brian, the code ‘lstPhone’ portion starts with lowercase ‘L’. I am revamping this blog and will be posting example files with all of my code updates. Did you get your situation figured out? I found with this example that if the table field contains “Smith, Bob” instead of “Bob Smith” then the listbox displays only “Smith” unless another column is added, which will then display “Bob”. The comma in the data is acting as a delimiter for listbox display. This may be operable for my purposes. However, can the code be modified so that “Smith, Bob” is displayed in a single column?